Ig products are not available under the National Blood Agreement for conditions that have been assessed and identified as conditions for which Ig use is not supported. The Criteria are not intended to be clinical practice guidelines. Rather, the Criteria identify the conditions and circumstances for which the use of Ig products is considered to be clinically appropriate and for which Ig products are able to be accessed under the National Policy. To access Ig products under the National Blood Agreement, the National Policy: Access to Government-Funded Immunoglobulin Products in Australia (National Policy) requires that an application must be made by a medical officer through the online system BloodSTAR (Blood System for Tracking Authorisations and Reviews). 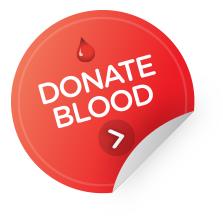 Where eligibility criteria are met, Ig products are supplied at no direct cost to the patient and the cost of the products is met by all Australian governments under the national blood arrangements, managed by the National Blood Authority. Health professionals involved in the prescription, use and management of Ig provided under the National Blood Agreement must comply with the National Policy. The Criteria, together with BloodSTAR, form part of a broader National Immunoglobulin Governance Program (the Program) which ensures that Ig products supplied and funded under the National Blood Agreement are available consistently across Australia to patients who are most likely to benefit and for whom there are no safe and effective alternative treatments, based on reliable evidence, and using the lowest effective dose. The Program aims to ensure the management and use of government-funded Ig reflects appropriate clinical practice, in accordance with relevant safety and quality standards for health care, and represents efficient, effective and ethical expenditure of government funds. Patients found to be ineligible to access Ig products under the National Blood Agreement or those with a medical condition not covered in the Criteria may be able to access Ig privately or through a Jurisdictional Direct Order. The Criteria were first published in 2007 and updated in 2012, and have been successful in defining the eligibility for access to product funded under the national blood arrangements. A further review of the Criteria commenced in 2014 and followed a comprehensive process to result in Version 3 of the Criteria, released nationally and into BloodSTAR in 2018. This review addressed recommendations that arose from the Review of the clinical governance and authorisation process for intravenous Ig commissioned by the NBA and undertaken by Ernst and Young in 2012. The review recommended the next development of the Criteria apply more consistent qualifying and review criteria across the conditions. Version 3 of the Criteria more clearly articulates and standardises the diagnostic, qualifying and review criteria, initial and continuing authorisation periods, dosing controls and supporting evidence for access to Ig under the National Blood Agreement. These changes enhance consistency in access and further support the use of Ig products for clinically appropriate purposes, and for the treatment of patients whose health is most likely to be improved with Ig therapy. The Criteria as it appears in BloodSTAR can be viewed here along with more supporting information. You can get more information about the criteria and process from the Ig Governance Program team by phoning 13 000 IGGOV (13 000 44468) or by email: IgGovernance@blood.gov.au.